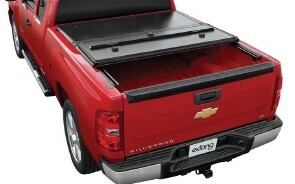 This low profile, hard panel tri-fold offers easy access from both front and rear. 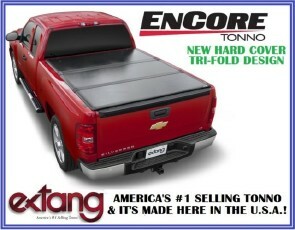 The Encore cover is self-positioning and self-latching for extra security. 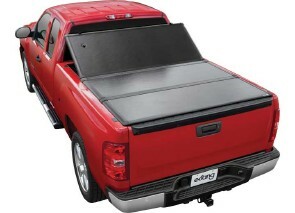 Engineered SecureShut™ rear latch locks the cover at the tailgate; front panel has a separate rotary latch and lock. Superior: 1-inch thick panels, developed specifically for Extang, are FRP (fiberglass reinforced plastic) for superior UV protection and thermal ­­­stability.